Bounce or break? 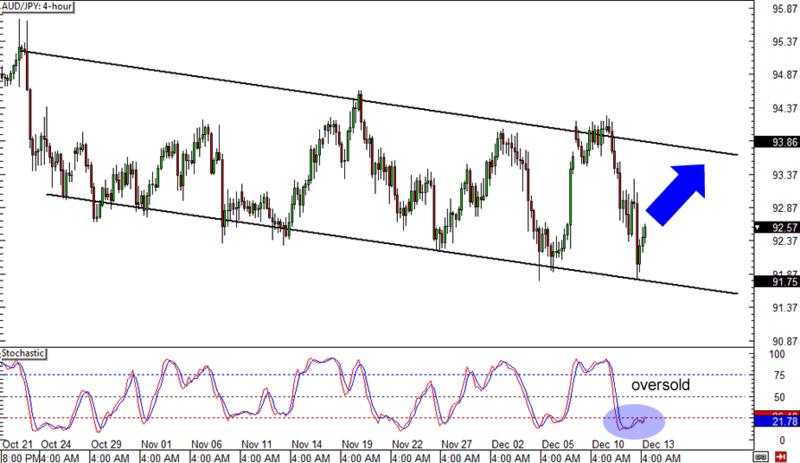 On its 4-hour time frame, AUD/JPY is stuck inside a descending channel, but it seems that the pair is ready for a quick rally. Stochastic is indicating oversold conditions while price just hit the bottom of the channel. If the pair keeps climbing, it could find resistance at the top of the channel around the 93.50 minor psychological mark. 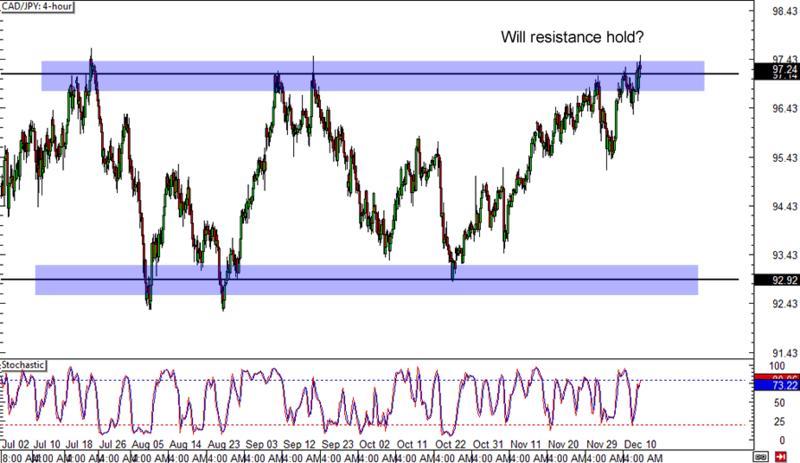 CAD/JPY is stuck in a huge range, between support at 93.00 and resistance around the 97.50 handle. Right now though, it appears that the pair is pushing higher and trying to break above the top of the range. Stochastic hasn’t quite reached the overbought region yet, which means that Loonie bulls have enough power for an upside break. Make sure you review our lesson on Trading Breakouts if you plan to trade this one! Here’s another channel that you might wanna keep your eyes glued on! 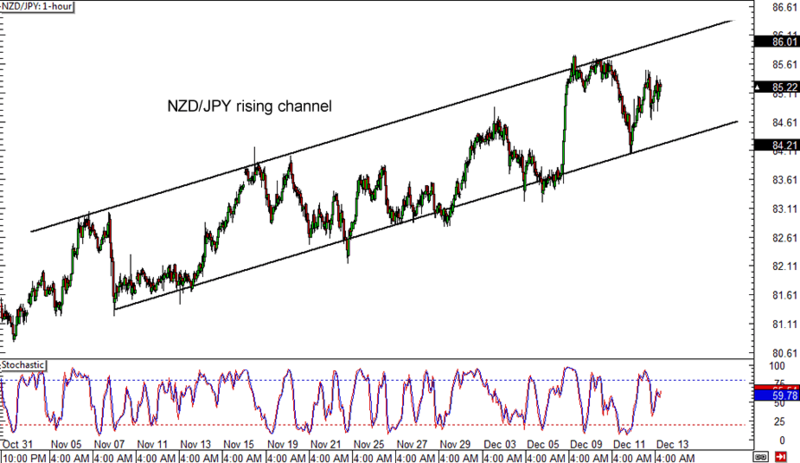 NZD/USD is slowly climbing inside an ascending channel on its 1-hour time frame and is currently stuck in the middle. A good strong catalyst could propel the pair to the top of the channel and beyond, as stochastic is also reflecting potential buying momentum. If a selloff takes place though, the pair could still find support at the bottom of the channel.